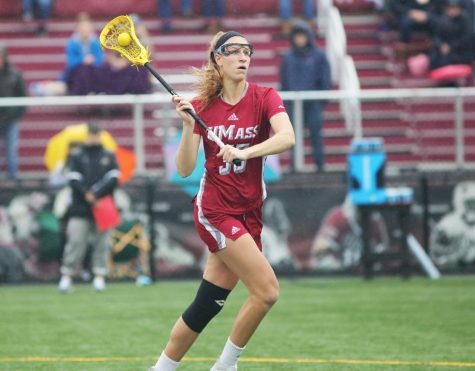 There’s no denying that the Massachusetts women’s lacrosse team has picked up its season while competing on the road. 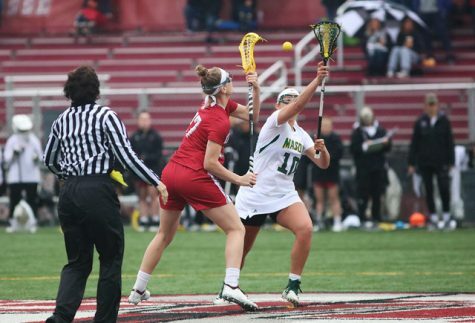 After obtaining a 3-4 record from their first seven games (five home, two away), the Minutewomen traveled to Stony Brook to begin a six-game road trip. 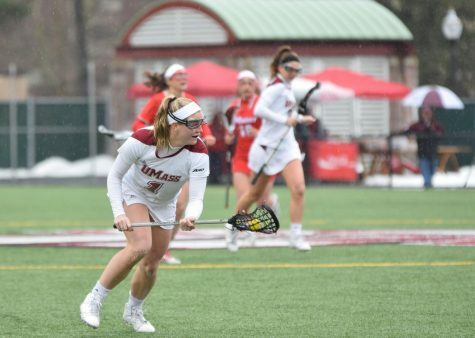 The first five games on the road for UMass produced a 3-2 record with three straight Atlantic 10 conference victories against George Washington, Richmond, and Temple. 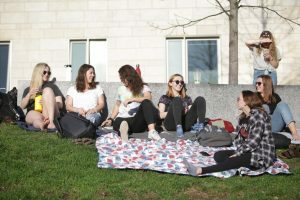 Even midfielder Merritt Cosgrove noted the effects of being on the road, and the toll it has taken on the team. “We’ve been traveling a lot and having really good luck with that. We’ve been traveling so much it’s almost like a routine,” Cosgrove said. But before the Minutewomen return home, they will pass through Pittsburg, Pa. on Friday to take on Duquesne. 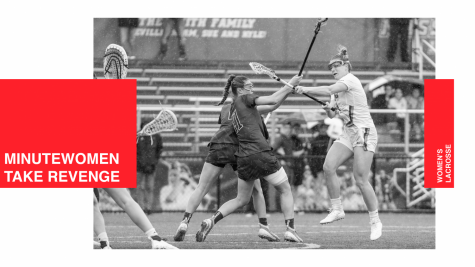 The game against the Dukes (6-7, 1-2 A-10) is more than just a simple conference game, as Duquesne hosts the A-10 Women’s Lacrosse Championship at the end of the month. “We’re excited to have the game up in Duquesne, they have a new field there. It’s great to get back home, but we’ve got to take it one game at a time,” Venechanos said. Statistically, the Dukes lead the way in almost every category. Not only does Duquesne outscore the Minutewomen with unassisted goals (101-90), but also are ahead with assisted goals (50-36), putting the Dukes ahead in total goals, 151-126. 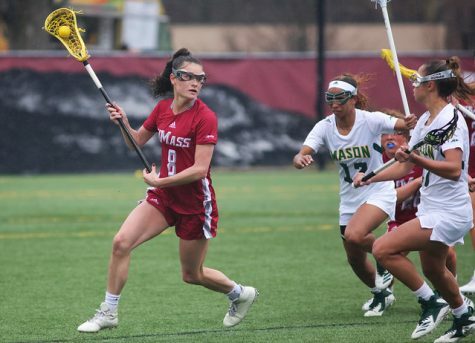 Against Temple last week, Venechanos witnessed the assisting UMass offense, which she feels will be a key element in the game against Duquesne. “It was a complete team effort. I was excited to see a lot of assisted goals, and that’s going to be important for their upcoming games,” Venechanos said. The Minutewomen also fall behind the Dukes in free-position shots, just by a hair, as the Maroon and White have scored 27 to Duquesne’s 30. Both teams attempted the free-position shot on 69 attempts. The Minutewomen also trail in groundballs, 181-135, and in draw controls by a slim margin of 158-150. The Dukes also lead in caused turnovers, 99-65. 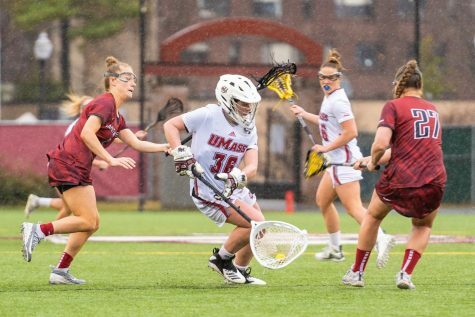 If there’s one guiding light for UMass in the game against Duquesne, it comes from the Minutewomen’s ability to clear the ball better than their opponent. Through its first 12 games of the season, UMass cleared 116 of a possible 137 balls, with the Dukes going 92-of-112 in the same category. 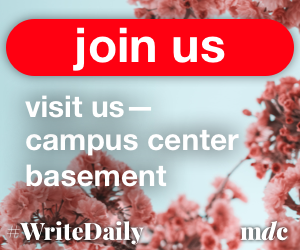 Over the past six seasons, the Minutewomen and Duquesne are knotted up in the series, both earning three victories over the other. 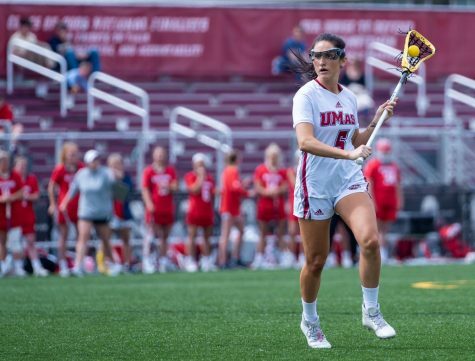 Since 2004, all of the games between UMass and the Dukes have been close, featuring just a pair of games that resulted with a one goal difference. 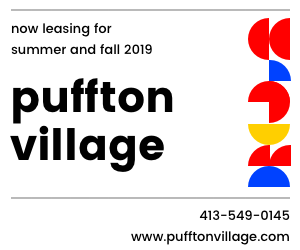 “We’re looking great. I think we have really good energy, and practices have been going really good this week so I think it’s going to be a really competitive game,” Cosgrove said. 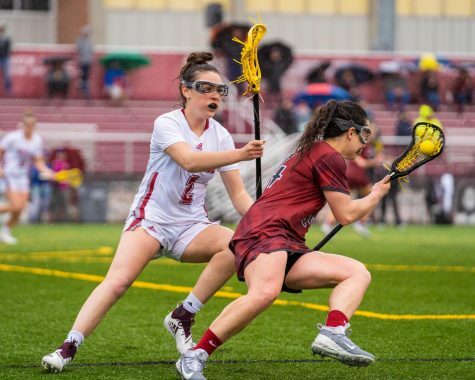 Duquesne has won the past two competitions between the two sides, earning an 11-10 win in 2008, and escaping with a 15-14 result in last year’s double overtime thriller. Once the final whistle sounds in the match against the Dukes , the Minutewomen return to McGurik Stadium on Sunday to begin its final stretch of games. The final three games before the A-10 postseason are against St. Bonaventure, Saint Joseph’s, and La Salle. 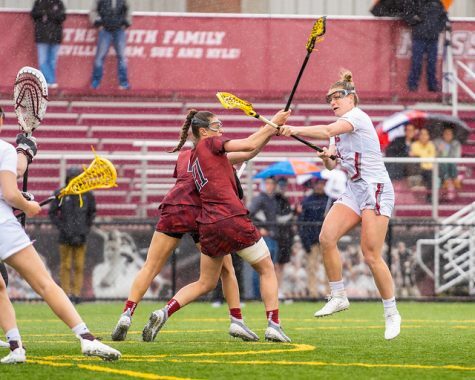 It still remains in question whether or not the Minutewomen will have better luck for the upcoming home stand than they did earlier in the season. Venechanos, however, is excited regardless of the previous home stand. “It’s great to get back home,” Venechanos said. The game against Duquesne commences at 1 p.m. on Friday.